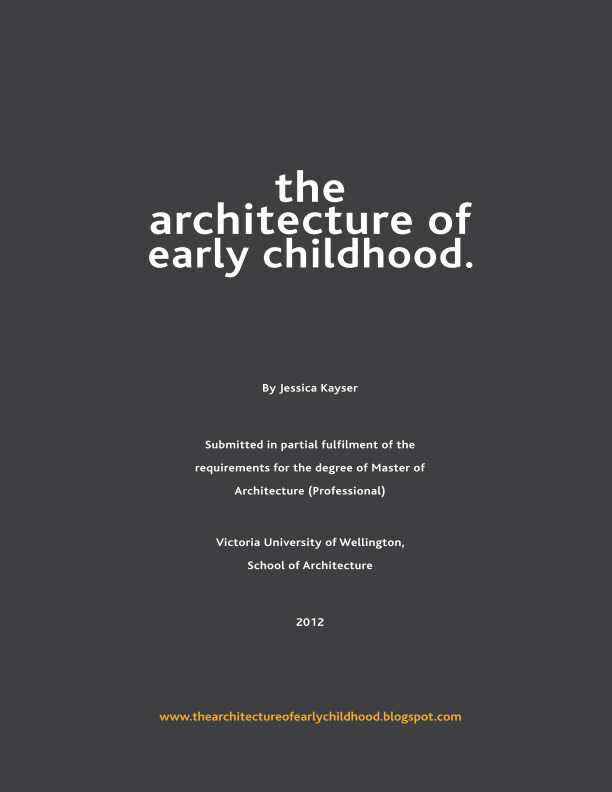 The AEC was born in 2011 when I (Jess) began researching early childhood architecture for my thesis at Victoria University in Wellington, New Zealand. b) the movement was newly garnering attention via online weblogs, yet there was still little information to be found in one easy to find place. Therefore the AEC forum began firstly for myself, and then for others in the same position as I. It was in this process of searching, analysing, writing and sharing, that something dormant (and perhaps was as a seed always there) began to emerge – that of an EC architecture (or as we architects call a [EC architecture] ‘typology’. It is my hope that this website will continue to spread the seed – that a child’s early learning and growth is best achieved when the environmental conditions are right – which goes to say the architecture plays a pivotal role. We (as a society) need an architecture that says: ‘We believe in these children!’ as it is these very children who will one day be our future – so lets give them the very best start in life. I am an Architectural Graduate (soon to be architect - fingers crossed!) living and working in Auckland, New Zealand. Married to a site manager (in construction) and after a trying (and gratifying) renovation of our first home in South Auckland, we one day hope to hone our skills in building our dream home. We have a beautiful boxer dog (slash only child) Morrison who lights up our days and keeps us on our toes.